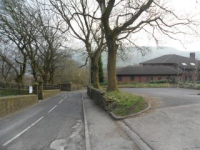 The campaign of opposition to planning application 2011/0397 submitted to Rossendale Borough Council has been successfull. The application was refused by the planning department on the 23rd December 2011. 1. 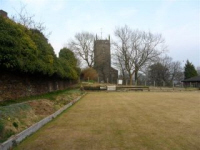 Loss of Bowling Green - open space in regular and continual use contary to the advice of the Sports Council and PPG17. 2. Layout, Scale, Design/Appearance and implications for trees subject to a preservation order, fails to protect or enhance the locally distinct character and listed buildings particularly St Nicholas Church. 3. Access - visability splays to north and south, not adequate parking on site, inadequate turning for refuse vehicles within the site, loss of pub car park with no provision provided elsewhere - detrimental to highway safety in the area. 4. Loss of privacy to garden areas Bolton Street and loss of light/outlook to garden areas of 59 and 61 Church Street. 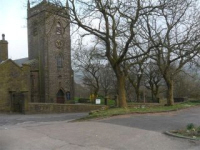 At least 109 objections have been submitted to Rossendale Borough Council including one from Sport England (13/12/11). 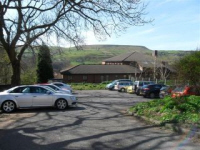 A new planning application has been submitted to Rossendale Borough Council. 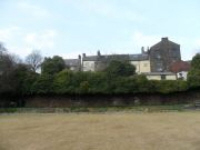 The new plans have most of the houses further towards Bolton Street, away from Church Lane. And artificial materials. It is understood that either Councillor Marriot or Councillor Crawforth will call this application in which means it will go to a committee meeting. However we need to ensure as many people as possible object to the plans. The campaign of opposition to planning application 2011/0397 submitted to Rossendale Borough Council is well underway and gathering more support everyday. You may have received one of the leaflets or simply heard about the community oppostion to these plans. The plans are for 8 three story dwellings on the site of the car park and the bowling green at the rear of the Boars Head. We need to ensure that as many people as possible object to the plans. The final date for submission of objections has been extended to the 13th December but please do not leave it to then. If you want help with drafting an objection letter please ask. No part of this page may be reproduced without written permission of the Newchurch Village Community Association, or where copyright is held elsewhere, without permission of the copyright holder.